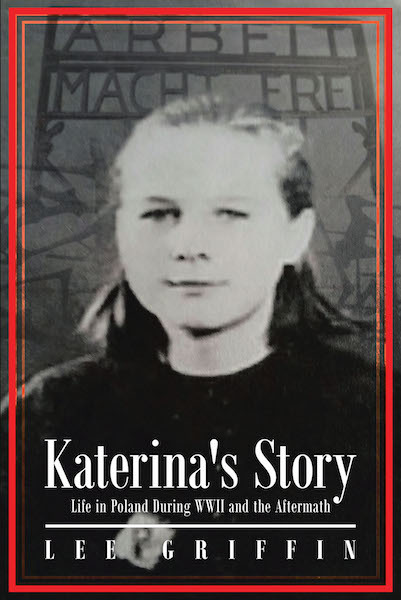 Katerina's Story: Life in Poland During WWII and the Aftermath is a historical novel based on a real person's account. For most of her life, this Polish woman keeps her past secret, even from her children. Only now, at age ninety-three, is she willing to revisit her memories with her friend Lou Ellen. The bittersweet journey begins in childhood during the early 1930s when she grieves over her mother's mysterious death, withstands a stepmother's cruelty, and broods over her father's indifference to her grievances. Her happiness from a peaceful and loving life at a convent is brief, when in 1939, German armies invade and capture the entire country. Within days, Nazis nab her, force her into a stinking boxcar, and steam toward Dachau, the notorious concentration/labor camp in Germany. As one of Hitler's slave workers, Katerina's harrowing fight for survival begins. She witnesses torture and savage deaths and endures disease, near starvation, and brutality. Many captives abandon hope and commit suicide, but not this tough, courageous young woman. She relies on her faith and trust in God, the power of prayer, and wit. When war ends, she marries a former POW, and they enjoy a loving, promising life in Italy with their two children for thirteen years when tragedy thwarts her happiness again. Subsequently, by the time she arrives in the United States as a refugee ready to build a new life, Katerina has a new husband, two additional children, and another child on the way. Her troubles are far from over. She and the family face language difficulties and discrimination at school and in the workplace. In addition, Katerina realizes she must deal with destructive aftermath issues, such as failing to trust people and holding onto an intense hatred for Hitler and his Nazi regime. Eventually, Katerina discovers inner peace through grace and forgiveness.